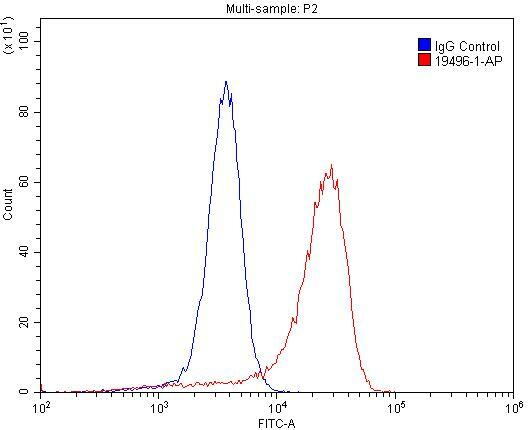 1X10^6 A431 cells were stained with .2ug CEACAM3-Specific antibody (19496-1-AP, red) and control antibody (blue). Fixed with 4% PFA blocked with 3% BSA (30 min). Alexa Fluor 488-conjugated AffiniPure Goat Anti-Rabbit IgG(H+L) with dilution 1:1500. 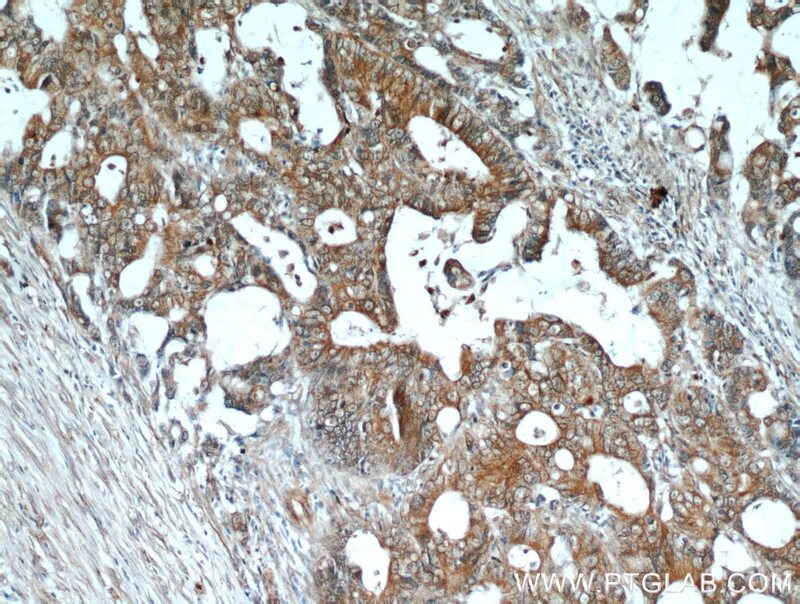 CEACAM3, also named as CD66D and CGM1, belongs to the immunoglobulin superfamily and CEA family. CEACAM3 is the major granulocyte receptor mediating recognition and efficient opsonin-independent phagocytosis of CEACAM-binding microorganisms, including Neissiria, Moxarella and Haemophilus species. 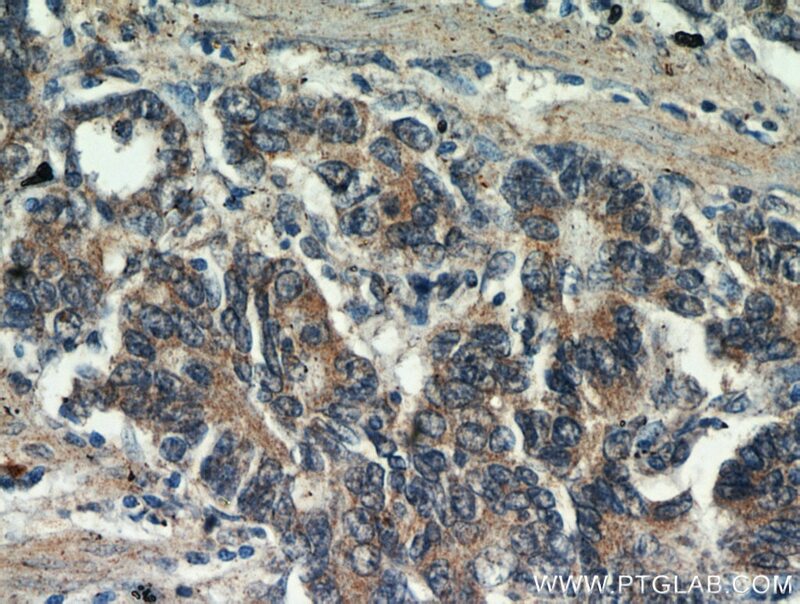 CEACAM3 plays an important role in the clearance of pathogens by the innate immune system. 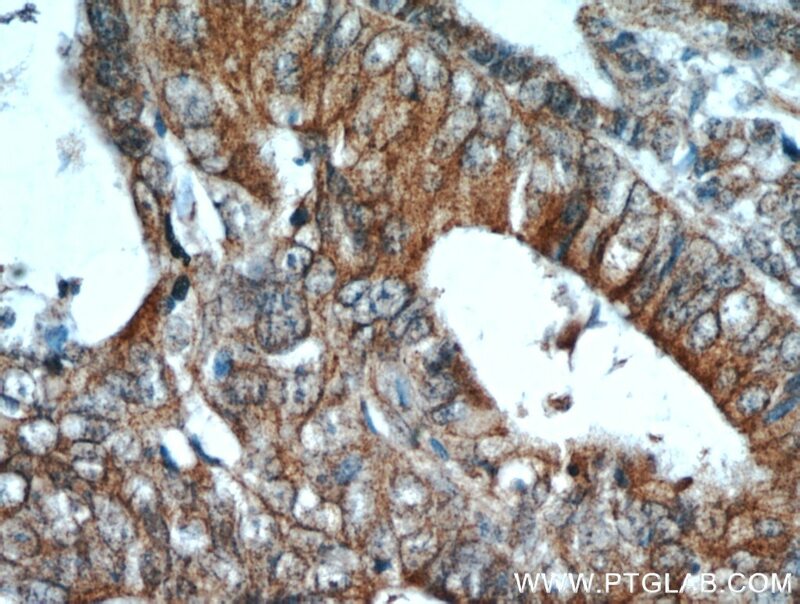 It is responsible for RAC1 stimulation in the course of pathogen phagocytosis. 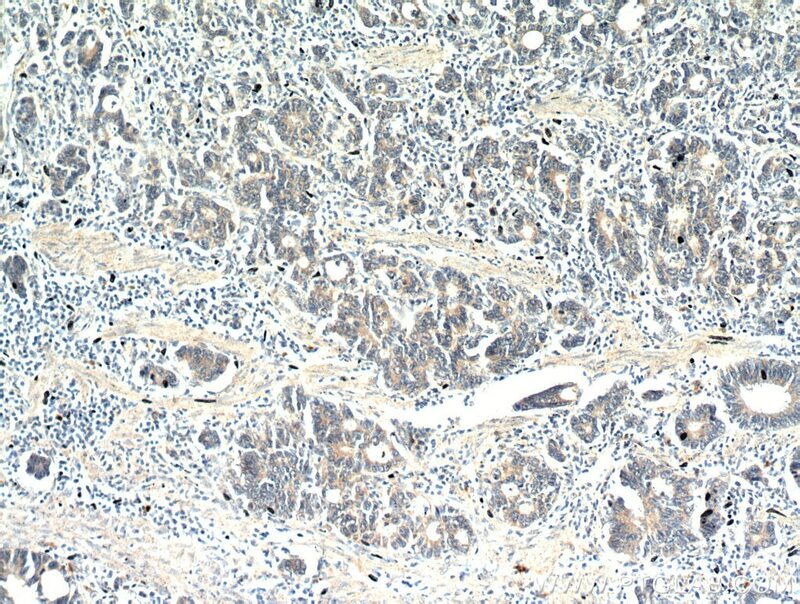 The antibody is specific to isoform1 of CEACAM3.